This book contains more than 100 full-color illustrations of Napoleon's 1812 Russian campaign. 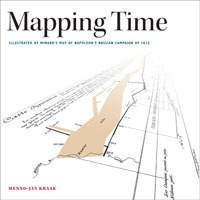 Redlands, California—Published by Esri Press, Menno-Jan Kraak's book Mapping Time: Illustrated by Minard's Map of Napoleon's Russian Campaign of 1812 combines historical and geographic analysis with cartography to examine mapping change over time. The book includes more than 100 full-color illustrations inspired by graphic innovator Charles Minard's classic flow line map of Napoleon's disastrous invasion of Russia. The map was drawn in 1869 and illustrates the successive loss of men in the French army during Napoleon's 1812–1813 campaign in Russia. During that war, Napoleon's army was reduced to 10,000 soldiers from the original 422,000. Edward Tufte, an American statistician and an expert in informational graphics, wrote that Minard's map, "May well be the best statistical graphic ever drawn." The author's written account of Napoleon's invasion of Russia includes many historic and contemporary maps that further examine the use of cartography to visualize the passing of time. Kraak is a professor of geovisual analytics and cartography at the University of Twente in Enschede, Netherlands. He has written more than 200 articles on cartography and GIS and coauthored the textbook Cartography, Visualization of Geospatial Data, which has been translated into five languages. 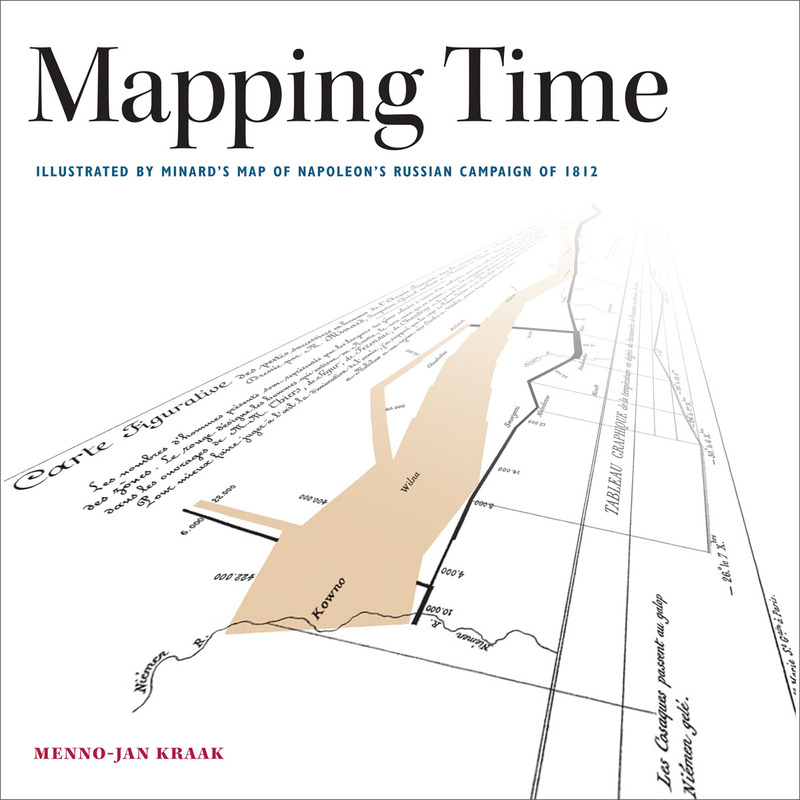 Mapping Time: Illustrated by Minard's Map of Napoleon's Russian Campaign of 1812 is available in print (ISBN: 9781589483125, 168 pages, hardcover, USD$49.99) and e-book format (ISBN: 9781589483668, USD$49.99). The book is available at online retailers worldwide, at esri.com/esripress, or by calling 800-447-9778. If outside the United States, go to esri.com/esripressorders for complete ordering options, or visit esri.com/distributors to contact your local Esri distributor. Interested retailers can contact Esri Press book distributor Ingram Publisher Services.